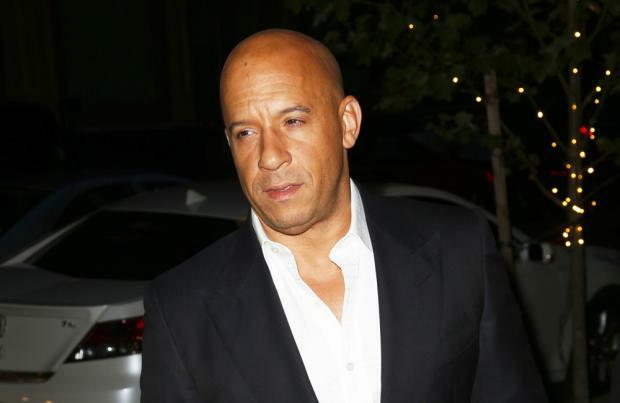 Vin Diesel has revealed that he will bow out of the 'Fast and Furious' franchise after "one final trilogy"
Vin Diesel says that the 'Fast and Furious' franchise will end after "one final trilogy". The 48-year-old actor and producer is currently working on finding a director for the eighth movie in the series and revealed that he will bow out after three more films. Writing on Facebook, Vin said: " Universal has been so good to me and so trusting of the vision... they have been like family... I promised the studio I would deliver one last Trilogy to end the saga." While it has been claimed that producers are struggling to find a director for the upcoming eighth movie in the franchise, Vin insisted he is just being picky because he wants to deliver the best film possible for the fans. He explained: "The fans of the Fast & Furious SAGA are the best fans in the world... Since I became the Producer in 2008, you have been with me every step of the way... literally giving me feedback that proved invaluable. Thank you. "My producing partner Neal would love for me to just sign off on a director, but this is too special a franchise, so these matters have to be very carefully handled. To be clear, NO ONE has been offered to helm Fast 8 yet... let alone seen a script (sic)."